Ryanair has a labor problem, and it's about to get worse. The low-cost carrier said Monday that higher fuel costs, rising wages and strikes by pilots and regional air traffic controllers had caused its first quarter profit to drop 20% over the previous year. Ryanair (RYAAY) has been giving pilots raises since recognizing the right of unions to negotiate on their behalf for the first time in December. Staff costs climbed 34% in the three months ended June 30. Adding to the pressure on its business, strikes by regional air traffic controllers caused "widespread damage" and forced the airline to cancel over 2,500 flights in the first quarter. With additional strikes scheduled for the summer travel season, the carrier's labor problems could soon deepen. Pilots based in Ireland have scheduled a strike for Tuesday, and cabin crew in Spain, Portugal, and Belgium will follow on Wednesday and Thursday. 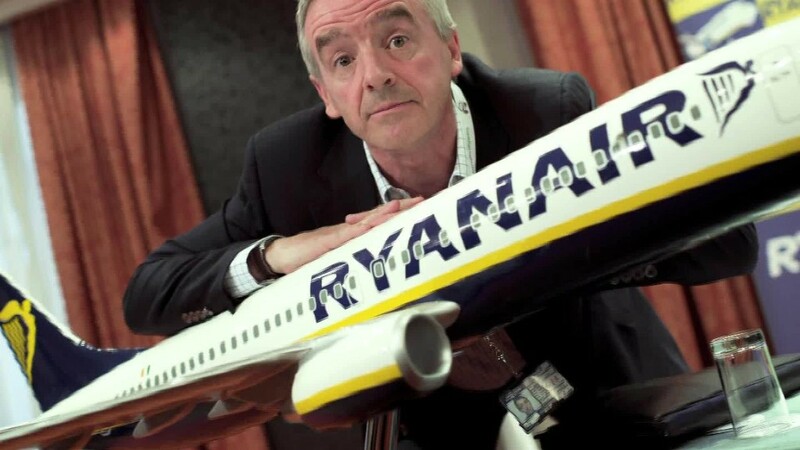 Shares in Ryanair declined 6% in early trading. Ryanair said it has signed union recognition agreements in the United Kingdom, Germany and Italy. But it said that progress had been slower in smaller markets. "We expect further strikes over the peak summer period as we are not prepared to concede to unreasonable demands that will compromise either our low fares or our highly efficient model," the company said in its earnings statement. "If these unnecessary strikes continue to damage customer confidence and [prices] in certain country markets then we will have to review our winter schedule, which may lead to fleet reductions at disrupted bases and job losses," it added. Sales at Ryanair increased 9% in the first quarter to €2.1 billion ($2.5 billion), but its margin dropped from 21% to 15%. Rising global oil prices pushed fuel costs up by 23% over the previous year to €631 million ($740 million). Europe's biggest low-cost airline is not the only carrier facing pressure. Italian national carrier Alitalia went into administration in May after it was declared insolvent. Budget carrier Air Berlin filed for bankruptcy in August. Britain's Monarch halted operations in the fall, leaving 110,000 customers temporarily stranded overseas. A damaging pay dispute at Air France-KLM (AFLYY) forced the firm's CEO to quit in May.